A winter storm will move into the Northland this evening, bringing two bursts of heavy snowfall. 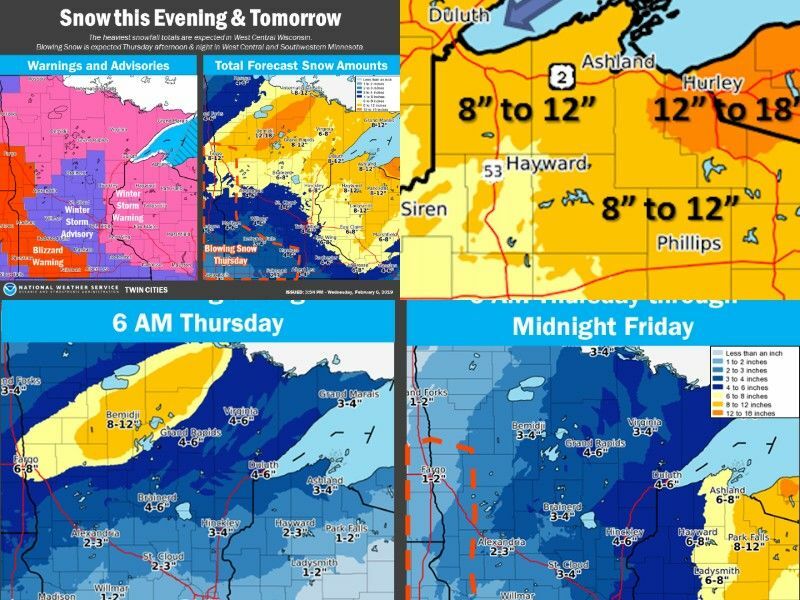 WINTER STORM TONIGHT/THURSDAY: A winter storm will move into the Northland this evening, bringing two bursts of heavy snowfall. The first burst of snow will begin for most areas around 6 PM tonight and last through the early morning hours tomorrow. A second burst of heavy snow will begin late Thursday morning, affecting northwest Wisconsin the hardest.